Rather, the rule of thirds needs to die a fast and painful death for all the damage it has done to the art and photography world. The rule of thirds is probably the first compositional rule you will learn but sadly, it is also a terrible rule. I can personally confess to this. The damage learning this easy rule has done cannot be overstated. It haunts my images to this very day and I just cannot seem to get rid of it. I first learned about this rule through different YouTube videos on photographic composition. In different “top five” videos, everyone seemed to agree this is the first rule to learn. Most people did point out “learn the rules as for you to break them.” I guess that was an easy disclaimer. This also goes to show how YouTube really is the Wild West when it comes to information, where everyone just copies everyone and repeats the same “mistakes” without actually diving into the theory, history, or background of a given subject before releasing it to millions of viewers. In the above video, Photographer Tavis Leaf Glover explains 10 myths about the rule of thirds. When I first saw this video, everything changed in how I understood composition. In my opinion, it is probably the most important video on YouTube for any one beginner in photography who wants to learn about composition and his book is very worth checking out too. I have rewatched it several times and it is always a good reminder. Check it out and let me hear your thoughts in the comments. Did you learn something new? It is unfortunate that most of the individuals who would benefit from learning more about composition are off arguing about 'dSLR vs mirrorless', 'Sony vs Nikon vs Canon', or 'which combo produces the highest resolution'. Photography (writing with light) is the process of telling a story or conveying an emotion in an image. Understanding composition, lighting and their relationship to the subject are the most critical components of this form of art. This is true, Henry. But let's be real: Learning how to actually do photography isn't nearly as fun for many people as arguing about their favorite toys. Tribalism...screw it. Composition is hardly ever discussed with these youtibers who are teaching hacks and tricks vs composition and why. The why is where the story is, the how is empty and stagnant. Replace one rule with many others. Click-bait headline. Almost useless video. The only redeeming feature is that he is actually talking about composition and the many ways it can be viewed. In many ways I think some people are able to unconsciously use all these rules. They just come by it naturally. haha...deeply flawed video. it does nothing to support its central premise. Many of the images used to demonstrate other compositional techniques in his 'canon' also fit perfectly well into ROTs composition. This is information to be ignored. It take strong exception to the article author's quote "it is probably the most important video on YouTube for any one beginner in photography who wants to learn about composition". Really? Composition is much more than the R.O:T, but ignoring it would be plain dumb. It is very useful as well as so many other rules. It definitely isn't the only option and you should for sure break it for the sake of composition and final look of the image. But a lot of times, it does provide for great content in your image. I do not agree with this video at all and see no problem with teaching the rule of thirds to newbies starting. It gives them a starting point. If the author of the video says he got stuck in his photography because of the ROT, this is not the rule's fault but the photographer himself. The problem in teaching RoT to newbies is two-fold. First: Most of the time, RoT is the only thing many learn. Especially since most photographers aren't attending art classes and are learning from YouTube, the focus on RoT ends up being an end-all be-all, even if most of us with experience know otherwise. Secondly, and this is primarily the fault of the newbies themselves, RoT becomes the lazy person's way of composition. They don't bother to learn about other approaches to photo composition, learn how light and shadow, as well as color,are key aspects of composition, or understand when to ditch RoT. This isn't to say RoT should be ditched. It is one of many tools in the arsenal. It does mean that there is too much emphasis on it, and not enough focus on what to do in different situations in which RoT does not and cannot apply. i'd say knowing composition well is what separates good from average photographer (amongst other knowledge of course). it will always be like that. I see no harm in giving them an easy quick start with ROT. it's up to the photographer to know when the limitations of such rule have been achieved and be able to move forward and use the rule as much as any other - only when it will bring you the best results. 1. 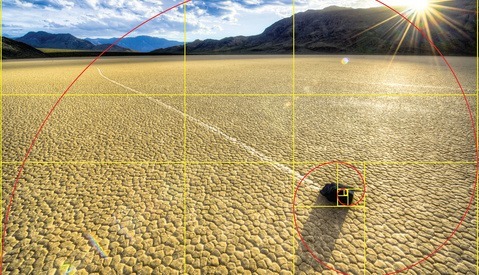 "Rule of thirds" (ROT) is simplified version of graphic representation of Fibonacci's sequence which has been empirically proven to be pleasing composition for human eyes (probably because we can find "Golden Spiral" almost everywhere in nature). Btw Mona Lisa is the book example of use of golden spiral. 2. ROT is just one of the guidelines in composition. Nobody says it is the only one. 3. The Author claims "there are no rules in composition" and "nobody likes rules" and than he pushes several other rules and even "Laws" which should be used in composition. I find myself checking the comments thread before watching videos on fstoppers almost every time now. Glad I did in this case too, going to skip the content of this article. For any mods reading this thread, it would be nice to see more written content or stronger written content accompanying the videos, not just a "I like this one part of the video etc etc" to help promote the viewership numbers of said video. Just my opinion here, but I enjoy reading the content, it's more versatile on when and where I can absorb the material as opposed to video. Anyone, not knowing when not to use the ROT, probably wouldn't know what to use in its stead. Interesting article and useful video, at least in terms of introducing some of the many tools of composition. That's really the key - understanding that composition is complex and not simple and can approached from many different directions. I agree, useless video. I stooped on the random lines of the second myth, that he is trying to make sense on top of the models pose. Lool, I really came to watch him kill the idea of rules as a whole... Was hoping he'll talk about something artsy that has to do with feelings and experience. Oh well. photography is art and art is doing something that others can't do. and for creation the art, only thing that is needed is creativity and talent. sorry, but like the "rule of thirds," all of these "composition techniques" were developed by looking at something and applied ex post facto. the original artist wasnt thinking "arabesque" when they painted something. they painted it to create a balanced composition that was pleasing to their eye, something that fortunately, for them, was also pleasing to others. using any or all of these "rules" is purely low brow attempting to be high brow to impress others. a useful tool if you don't know how to arrange anything in your viewfinder to create a pleasing composition, but definitely not something Annie Liebovitz, or others, are consciously thinking about when they pose their subjects. therefore, these additional "rules" are just as inane as the rule of thirds by the narrator's very own definition. to exemplify my point, i can chop up any photo on this site and call it "HEY LOOK, IT'S THE RULE OF 25THS!!!" or "LOOK! SLANTED LINES CRISS-CROSSING!" bottom line, rule of thirds was a very, VERY watered down and basic way to explain mathematically why a composition is pleasing to the eye. all of the examples of other compositional formats are, guess what, easily divisible by 3. For a couple of thousand years now, folk who have an interest in aesthetics have been studying what works and doesn't work in 2D image composition--that is, they have been studying what elements of composition catch and hold the attention of audiences and what does not. These days they use eye-motion studies and MRI scanning to do it. I guess some people are just triggered by the word "rule," but what we really have from all this study are "composition hacks"--what has been discovered to work in attracting and holding the eyes of audiences. Everyone is always free to take note of lessons already learned thousands of years ago, or go ahead with learning it all on their own. My rule of thirds is this... 1/3 of the groomsmen won't look at the camera and are drunk....the other 2/3's are just drunk. This YouTuber guru’s arrogance should certainly die a slow painful death... So much nonsense packet into this not so short video. Amazing!!! The revelation came at the end of the video; he's selling something. If he honestly has this much animosity for the ROT, which I doubt, maybe it's an indication that he's plateaued again (as he illustrated in the video) and is grasping for new inspiration. Either that or he's just selling something... Composition is so much more than a single theory. They ALL need to be studied and practiced. I have a tendency to doubt people who proclaim to have arrived. We're all growing. I am writing this comment even before reading this article, the title did it for me, whether I completely agree or not after I read it, it was a very catchy, smart and somewhat funny title. Congratulations to the editor here. I'm just two seconds into the video, and that misplaced apostrophe in the title is like a fork in my eye. How can I trust the author after this? I never used the rule of thirds, not that I ever thought it was wrong, just that I could never remember it when shooting. The only forethought to composition I have is not to put the horizon line through the middle - by seeing which half of it was most interesting, taking out distracting elements, using an interesting foreground in landscapes. With subjects, making sure that they are the brightest and less bright around so not to distract. I think "balance" in my head as much as possible. The ROT has it's place, I believe, some of the most amazing shots make them powerful because of negative space. The alternative suggestion of gestalt pyschology techniques, seems interesting but awfully complicated, I don't want my creative shooting experience destroyed by having to think about those rules either.